The Brazilian government has discussed measures to eliminate internal obstacles and make free trade possible between member countries of the Southern Common Market (MERCOSUR). The topic was addressed during a meeting with the fiscal council of the Foreign Trade Chamber, on Wednesday (Sep. 28). Foreign Minister Jose Serra said there are some 80 measures mentioned as obstacles by businesspeople from the countries in the bloc. He also stressed the need to harmonize sanitation and phytosanitary barriers between members of the group as "a task to be accomplished in the upcoming months and years." 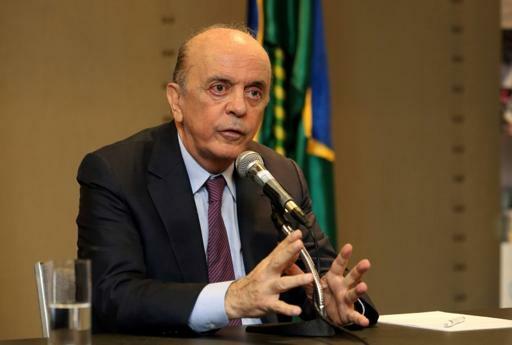 Foreign Minister Jose Serra said these matters will be addressed by President Michel Temer on his next trip to Argentina and Paraguay next Monday (Oct. 3). "MERCOSUR’s priorities will be brought forth and analyzed. Another priority is the [Tiete-Parana] waterway, which is the object of so strong a consensus we didn’t discuss it today. [hellip;] An actual waterway already exists, but productivity may undergo a considerable boost with little investment and organization," the chancellor said. Also brought into discussion was the Brazilian government’s attempt to put an end to the deal with Chile that stipulates a market reserve for maritime transport between the two countries. While talking about the criticism from Brazilian industrial organizations, he argued that the program makes fees pricier and said its continuation would be "unfounded."